Packers Head Coach Mike McCarthy stood in front of reporters Saturday afternoon in the auditorium at Lambeau Field following the NFL Draft, fielding questions about the incoming rookie class of draftees. Most of the comments he made were very McCarthy-esque. Vague, non specific, and generalized. They were the type of answers the Packer faithful have grown accustomed to hearing from the guarded McCarthy. With this statement, McCarthy made it public that his Defensive Coordinator, the much maligned Dom Capers, was officially on the clock. Following a third consecutive season which saw his defense struggle mightily at times, McCarthy very easily could have pulled the trigger and fired Capers. But he didn’t. He stayed loyal to Capers, perhaps out of respect as he was the one who helped orchestrate the Packers transformation into the 3-4 scheme they currently operate. An even more plausible reason could be because the Capers scheme helped bring a Lombardi Trophy to Green Bay a mere four seasons ago. Whatever the reasons are for Capers staying in Green Bay, McCarthy let it be known to all that Capers’ defense needs to show significant improvement this season. Failure is not an option. Period. 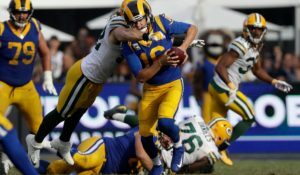 Besides the bold statement about the defense as a whole, McCarthy would go on to make a number of statements that seemed to eliminate all of the excuses that have been piling up as far as the performance of the defense. It was both refreshing to hear the passion in his voice, and eye opening to hear what he was saying about his defense and his defensive coordinator. McCarthy certainly sounds like he means business on the defensive side of the ball in 2014 with these statements. There is one caveat to these expectations for the defense in 2014. Capers can only do so much, He cannot go out and play all 11 positions on the field. Ultimately, it is up to the players to perform. But Capers does have the responsibility of scheming properly with the correct personnel groups on the field at the correct times. That falls squarely on Capers. After spending their first round pick on defense for a third consecutive year, going out and acquiring free agents Julius Peppers and Letroy Guion, and resigning free agents Sam Shields, Mike Neal, and BJ Raji during the off season, Capers cannot use the excuse of not having the quality of talent to succeed. The talent is there-it is now up to him to design the defense which will make all of these moving parts work together. Mike McCarthy said a lot following the draft. 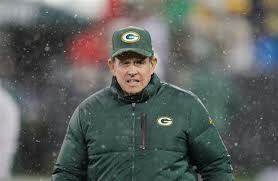 The biggest thing he said (without actually saying it) is Dom Capers is on the clock. To view the entire post draft Mike McCarthy press conference, click this link. Haha. When you have filters in your head you see and hear what you want to see and hear. Last season when he said the same thing about the running game it meant the RB coach’s neck was on the block, right? William of Ockham. Look it up. MM meant the defense is going to be better because they’ve been working hard on it, they just drafted a safety they believe will make a difference and he gets players like Casey Hayward and Datone Jones back healthy. You go draft Eddie Lacy and Jonathan Franklin, and retain Harris and Starks, there was no reason to believe the running game shouldn’t have improved. Of course MM never came out and said “I always view it as the responsibility of the coordinators to make sure we have room for that guy, within our scheme packages” after last year. But he sure as hell did this year. That’s a message being sent. Don’t want to believe it? Makes no difference to me. But it is. Hmmmm,let me get this right…we still have the same guys with a scaled back defensive schematic,added a 34 yr old 4-3 player in Peppers whose only real objective is to help get from the same guys, what some feel is obtainable.Not excluding the highly regarded Guion,or the fact that Pickett is old and near done or just gone,a 50/50 chance that Jolly is around for the start much less make the team,a who knows with Boyd,a new 3rd rd pick that many are trying hard to promote as a sweet find,which basically before the draft and the acquiring of HaHa and more projects,have in essence done nothing to help the front seven where the problems on defense begin. The Peppers project is the deciding factor..can and will he be able to assume the leadership and get the up to date lacking in play guys to actually play much nearer to expectations.This is what,not only decides the fate of Capers but also the the fate of many players on the defense who have once again failed and the hiring of a new DC and very possible install of a new defensive scheme takes years off the best ones for Rodgers getting the Packers another Lombardi. Sugarcoat all one might,I said before and repeated it again here,this is a major year that decides the future path of success or failure for the Packers in regards to having real competition for the Super Bowls….We did not do enough in the draft to justify a ranting of a much better defense…that burden has increased for Capers and the Peppers effect…and Capers more unjustifiably,because he is working with the same lackings as before. This is way past due. The defense has been bad except for the SB year. The talent is there, it needs to be used correctly. I know you’re going to find this hard to believe Taryn, but disagree with your entire comment. “Pickett is old and near done or just gone” he’s gone. “50/50 chance that Jolly is around for the start much less make the team” with the signing of Guion and drafting of Thornton (which I do believe was a huge reach) doubt Jolly is signed even if cleared. “have in essence done nothing to help the front seven where the problems on defense begin.” Except the signing of Peppers will help. Doesn’t need sacks to be an effective signing. Matthews, Daniels, Neal, Perry have all shown they can get to the QB. Peppers has proven he can as well. Datone flashed in this as well, so….. This is where Capers is going to be challenged, and has been by McCarthy. Get the best guys on the field at the same time. The biggest thing this defense needed was a competent safety to play alongside Burnett. Problem solved with Ha Ha. And your last comment “is working with the same lackings as before” is totally incorrect. He is working with a lot of the same personnel. It is up to Capers to ensure that the supposed lackings get fixed with proper players on the field and the correct scheme. Capers has been unable to design a scheme that utilizes most of these same players over the last 3 seasons. What in the world would make you think he would be successful this season! Capers ENTIRE career has been one of a quick turnaround of a defense followed by a rapid decline. Maybe Capers looses interest, maybe he gets lazy, whatever it is the pattern has repeated with Panthers, Texans, Jaguars and now the Packers. Capers will once again use lack of talent as an excuse for yet another under-performing defense and Thompson has feed right into that with this draft. Just like last year where a glaring need at Safety was ignored, Thompson did the EXACT same thing with inside linebacker this year. But it goes beyond that, going into last season Capers excuse was that he didn’t have enough “length” on the defensive line to run his defense. How did Thompson address the length problem, other than Jones the DL added are far short of Capers preferred 6’5 – 6’6, long armed players. The bottom line is Capers still has more than enough excuses to blame talent for all his woes. I gotta say my respect for Capers has really bottomed out through the last 3 years. In spite of the pathetic defense that has been consistently rolled out, including the leagues WORSE defense in 2011, I don’t recall Capers ever taking ANY share of the blame. Just once I would like to hear him say: bottom line the defense has not been good enough and as coordinator that is my responsibility. I hope I am wrong, but I don’t see this defense improving until Capers is replaced. Hopefully, McCarthy is not just talking and that will happen sooner than later, it’s just a shame we may end up wasting yet another season to find out. I think if the defense can stay healthy they can be pretty good. When the talent was there the defense performed. Look at 2010 when they had Matthews, Williams, Shields, Jenkins, Collins,Woodson,Bishop, and Raji performing at a high level. I just have a hard time placing the failings of the defense on Capers. Who has he had to work with? More than half the players above are gone and the only addition that has been able to stay healthy is Mike Daniels. Thompson has thrown draft picks at the problem, but how many have actually worked out in recent years? IMO the defensive failings have more to do with Thompson’s picks and their poor performance and/or inability to stay healthy then the scheme they are in. Lets hope they can stay healthy this season. They are long overdue for an injury free year. As you know Ian, I am not exactly the president of the Dom Capers Fan Club. I have been highly critical of him for several years now. But I can respond to your comment fairly. When a defense performs poorly, it is the combination of several factors. Most notably, how the players play, and how the defense is schemed. The players are held responsible for their performance by constantly having to prove they belong on a roster. The coaches are held responsible by potentially being fired when their squads perform poorly. Not all the players can be fired. But a coach sure can. And someone eventually pays the price for poor performance. That is precisely the reason why Capers can and should be held accountable for his job. These are just a few examples of players that Capers has had the services of. A lot of high draft picks. So it’s not like he’s working with an entire roster of late round picks or UDFAs. So what is the issue? Have all of the players listed above underperformed? Or has Capers failed to utilize them properly? If you listen to Mike McCarthy, it’s the latter, and that falls squarely on Capers. But how can so many high draft picks collectively underperform at a fairly consistent basis? is it possible that because Capers has not been using them properly? That is my guess, and that is why he has been put on notice by his boss. I don’t see McCarthy’s comments as giving notice. He’s simply stating that our D will be better. It seems to me he’s referring to the injured players being healthy and the additions of Clinton-Dix, Peppers, Guion, and Raji being moved back to his true position. Hard to imagine those things not making the Packers much better on D.
Why Capers should have been fired: When the bulk of our linebackers were injured we had better personnel for a 4-3, but Capers refused to change. He showed no ability to adjust to offenses which were burning out D during halftime of any game. He’s shown no ability to adjust to anything at any time, rather looks like he’s ready to fall asleep. He won’t address the media or the fans, so it seems he takes no responsibility. His track record has been mentioned, and its a valid point. He tends to start strong (as he did with us in 2009) and tapers off drastically (as he has with us every year). How many times last year did we see MD Jennings run into our guys, essentially taking them out of plays? How many times were half of our D changing to audibles while the rest didn’t get the call and remained out of position? What adjustments were made for these mistakes? Nothing changed and we continued to struggle on D – highlighted by a disaster in Detroit on Thanksgiving. We didn’t see improvement from our D until the Bears and 49ers game. That wouldn’t be acceptable for 31 other teams in the league, so why is it acceptable in Green Bay? I’ll give Capers a pass in some areas because the majority of our talent was injured during the last 3 seasons. But that’s when he must make adjustments with his schemes – to allow the talent on the field to perform at their best – rather than force feed a system that they are struggling with down their throats. 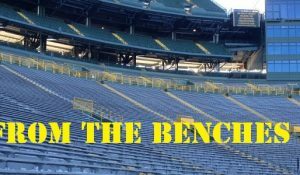 Why this should be Capers last chance to remain a Green Bay Packer: Worthy, Datone Jones, Brad Jones, Matthews, Hayward, Burnett, and Richardson (etc., etc.) should all be healthy to start the season. Peppers and Guion provide depth at LB and NT. 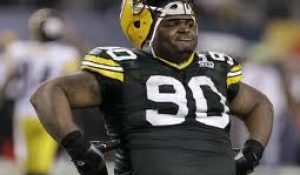 Raji returns to his true position where he performed much better. And MD Jennings is replaced by a play maker. All this points to a much improved D. BUT, if and when the injuries start piling up, Capers must show the ability to adjust his schemes to highlight the skills of the players on the field – for a change. This is also Ted Thompson’s fault: For all the talk of how we were going to improve our D during the off-season, we’ve signed 2 D FAs (other than our own) this year. We made no attempt to trade up in the draft and get the talent we were led to believe we’d go after. We also picked 3 WRs in the draft, including our 2nd round pick, with tremendous D line talent available on the board. Most experts are questioning our 3rd round picks, but Thompson once again seems to think he knows more than the experts. Time will tell. We drafted a questionable TE rather than go after a better prospect. Now these picks may turn out to be great players, and some UDFAs were signed immediately following the draft to address ILB and NT positions. But surely no one expects UDFAs to make an immediate impact. These were mind boggling draft picks by Thompson when our D-line depth is obviously a huge issue. Peppers will be playing elephant LB, likely rarely lining up with his hand down. We needed more than these FA signings and draft picks to be seriously improving on D. It didn’t happen. 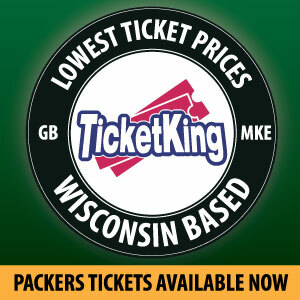 I know many GB fans are happy with winning the division every year and losing our 1st or 2nd playoff game. But I’ve found this more painful than the ’70s and ’80s where expectations were zilch. Too many years wasted with arguably the best QBs in the league on the field for GB since ’96. Enough already! I really think we have the talent to go into Seattle and put a spanking on the SB Champs. But it has to start on D, and by protecting Rodgers. There can be no better measure of our improvement, or lack of such, than our opening game. I sure hope we got this right. Go Pack Go! I don’t know where all this negative talk is coming from, but the Packers look like they have all the pieces coming together. Stop hating on the past and enjoy the team. Life is better that way. :).